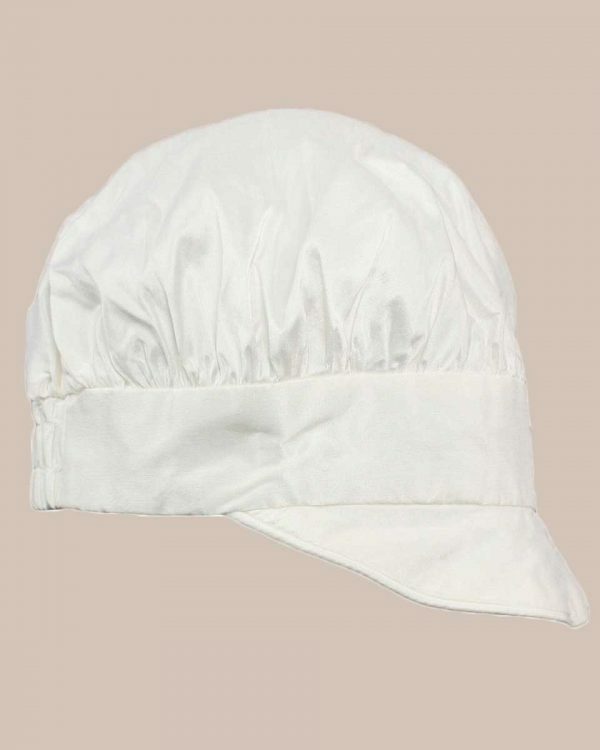 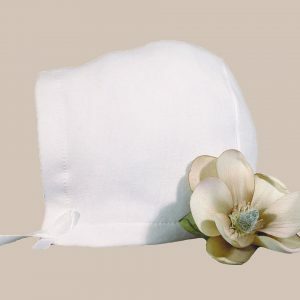 A simple yet handsome baby boys captain style cap/hat featuring a flexible brim, stylish piped edging, gathered/poofy top, full 100% Cotton lining, and is made from a luxurious 100% Silk. 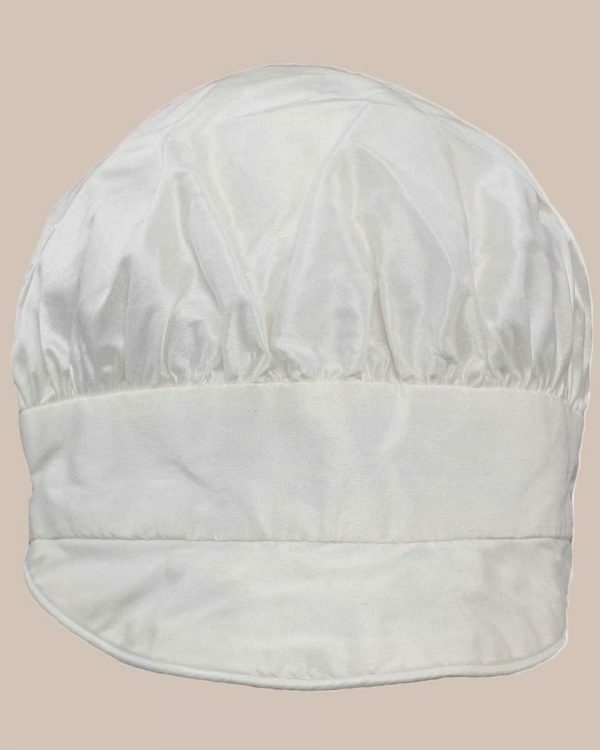 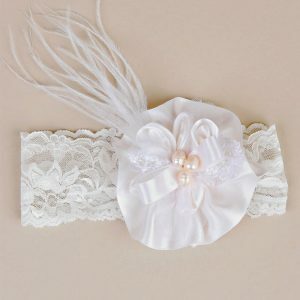 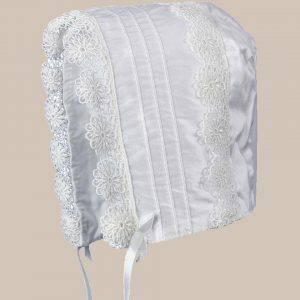 Boys simple 100% Silk Christening, Baptism, Blessing, special occasion captain style hat with brim. (Please note that all natural silk fabrics have slubs which are an inherent part of the fibers and add to the individuality of the set. 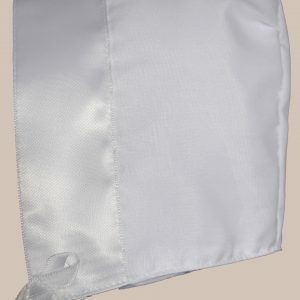 These should not be mistaken for flaws in the fabric).